Alice has been a full time freelance illustrator since 2014. She specialises in a clear, graphical style to communicate ideas and information in a clear but whimsical way. People often say her pictures, illustrated maps and info graphics are engaging, funky and fun. 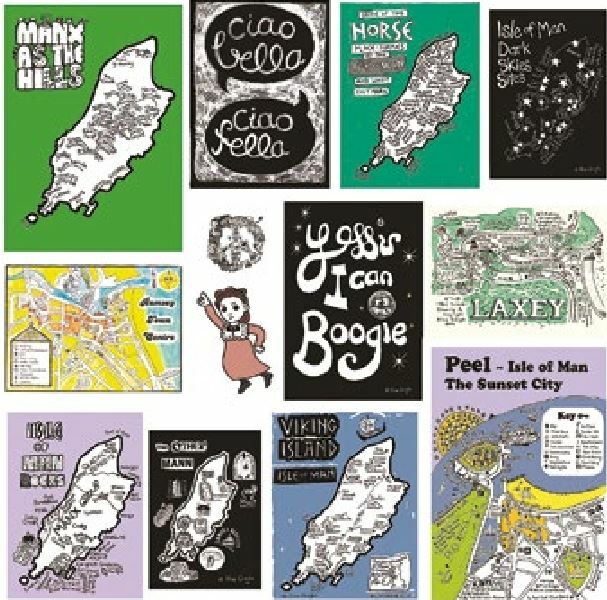 Alice is on a bit of a mission to hep promote various aspects of the Island (such as history, astronomy, language, landscape and wildlife) and to help visitors find their their way around via he maps. She has produced work fr a range of public and private clients. She takes commissions and produces prints, t-shirts and badges.